I hope everyone is having a great week! I would like for you all to join me in congratulating the Faculty and Staff Members of the Month for January. These outstanding team members have gone above and beyond the call of duty for the betterment of our district. If you see them in your hallways or on your campuses please congratulate them. Grade Math Teacher at the Intermediate Campus, on being nominated and selected as the Elementary Faculty Member of the Month. Her principal states “She has taken on any challenge I have given her and embraced it; from taking on the honors classes, to having a student teacher, to using Google Classroom! She works long and hard to make sure she is offering our students the best math education possible. 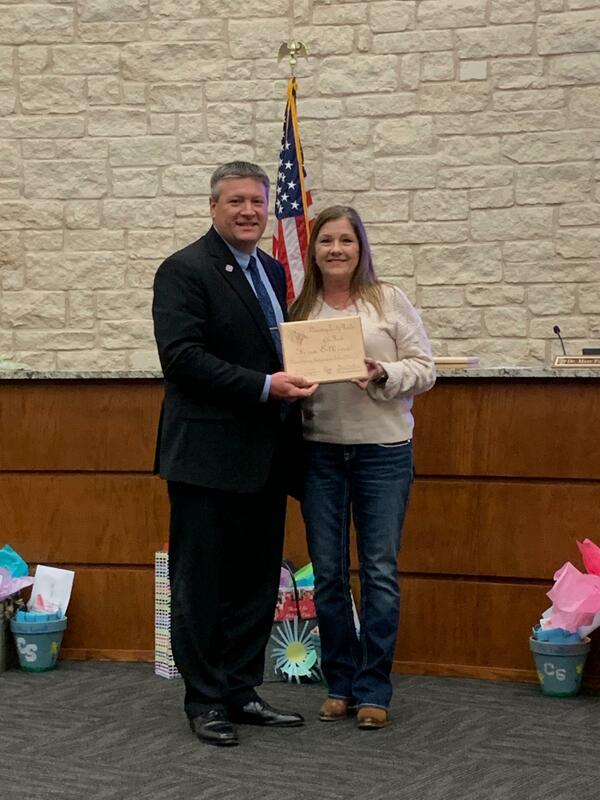 She continues to find ways to blaze the trail to get technology into the classroom.” Her assistant principal Mr. Ross said “China Spring Intermediate is fortunate to have such quality teachers like Tena Elkins. When we offered teachers the opportunity to visit one another's classrooms, Tena was one of the first to want to see and get ideas from other teachers' classrooms and to invite other teachers into her learning environment. When we wanted to make our Professional Learning Communities more collaborative and teacher facilitated, Tena stepped up and guided an awesome training on "Productive Struggle" for the campus. When we needed a mentor for one of our new teachers, Tena shared of herself and filled that role. When we needed someone to invest in a student teacher, Tena took one of them under her wings. Time after time Tena has presented herself as a servant leader, and it is with great confidence that she is worthy of our Faculty of the Month award! So Congratulations to Tena Elkins as the Elementary Faculty Member of the Month! 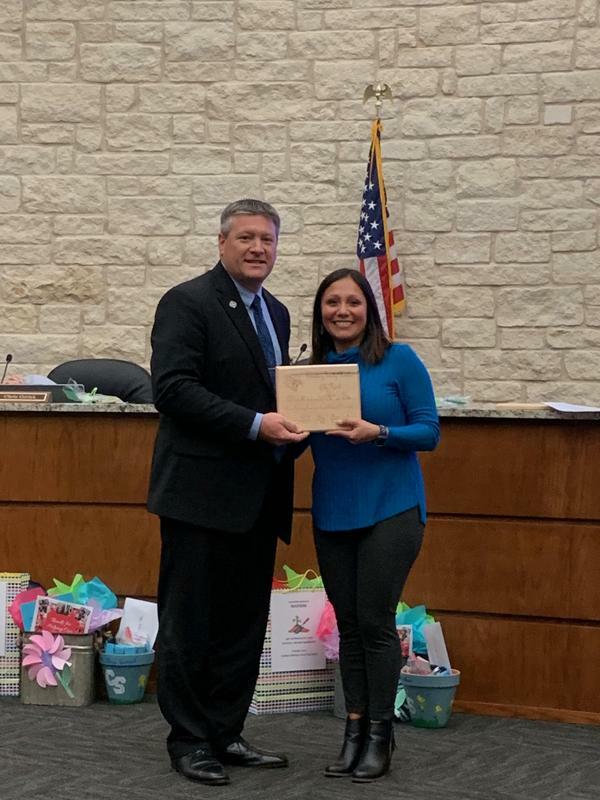 Secondary Faculty Member of the Month – Congratulations to Zabrina Lard, Math Teacher at the High School, on being selected as the Secondary Faculty Member of the Month. When looking at the profile of the faculty member of the month, Mrs. Zabrina Lard fits the description in every way. Mrs. Lard is in her 2nd year on the high school campus, after previously serving our students at the middle school. Mrs. Lard currently teaches Algebra 1 and Algebra 2, and is also a member of China Spring’s CILD team. Mrs. Lard’s math department speaks highly of her that she is a team player willing to teach whatever is needed of her, “whether algebra, geometry, honors, or inclusion”. She has embraced her creativity and used it in her classroom with fantastic results. Mrs. Lard goes out of her way to document her students’ successes and share it with the community, especially on Twitter where she has a strong presence; representing herself, her students, and the CS community well. Mrs. Lard is not afraid to try new innovative techniques in her classroom and goes out of her way to communicate those successes with her department. If something doesn’t go as planned when implementing a new innovative strategy, no one would be the wiser. Mrs. Lard simply gets back to the grindstone to re-tool and make the necessary adjustments so her students find success. And she does it all with a huge smile on her face that fills the halls. Her passion for her students can be witnessed every single week as you find Mrs. Lard in the stands supporting and yelling for her students who compete in athletics. One of Mrs. Lard’s students stated, “I know that Mrs. Lard cares about us. She’s always participating in spirit days, I see her supporting us on Thursday nights at the football games and now during basketball season, and she is always curious about what is going on in our lives outside of school.” Another student stated, “I can’t ever remember Mrs. Lard without a smile. I love going to her class because whether or not I like math, or if I’m even good at math, I know Mrs. Lard will treat me with the utmost respect. We are all like her children when we’re in her class.” This speaks volumes of the character that Mrs. Lard possesses. Like many of the teachers at the HS campus, Mrs. Zabrina Lard is the consummate professional, very deserving of the award: Faculty Member of the Month! So Congratulations Mrs. Lard! Staff Member of the Month – Congratulations to Shawn Anderson, Housekeeping at the Administration Building, on being nominated and selected as the Staff Member of the Month. Mr. Anderson does an outstanding job keeping our building super clean and in tip top shape. Many people who visit our building comment on how new it still smells and how great it looks. In my opinion, those comments are linked to Shawn Anderson and the way he takes care of our building. You can find Shawn daily working hard to stay out of everyone’s way yet at the same time doing his job well. He always is so friendly and never lets you pass by with saying good morning, or how are you, etc. He has a big smile on his face all of the time and I truly feel he enjoys his job. Jennifer Crook said “he greets her every day with a smile and his happiness is contagious. Anytime I have a meeting or training and need tables set up he is quick to ask what I want it to look like and never fails to make it happen. Shawn also takes on the role of bus driver every morning and every night. 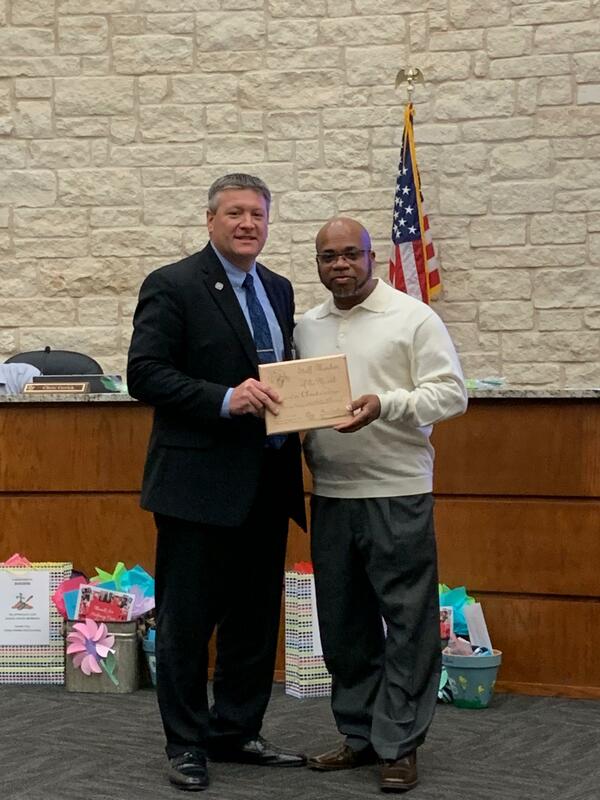 Dr. Pitts said “Shawn does a great job establishing a relationship with his students and fellow bus drivers and is a true asset to our transportation department.” So Congratulations to Mr. Anderson on being the Staff Member of the Month.